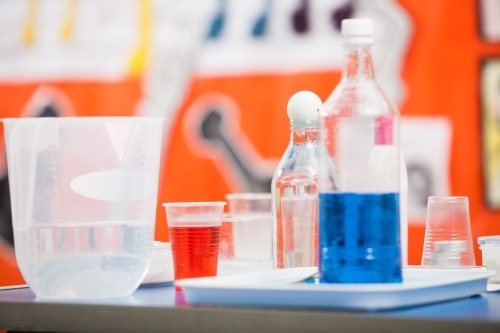 Collect yoghurt pots, jam jars and bottles to do experiments in, and to store chemicals. Be sure to label everything, and keep it well away from food. Coffee stirrers make great spatulas! Household borax. This is getting more difficult to buy. Chemists or hardware shops may order it for you, or you might need to buy online. Borax substitute is different and will not work in the experiments on this site.